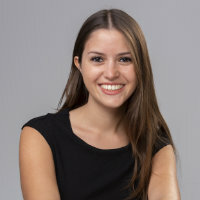 Dafne Beri is a Researcher and Project Coordinator at the International Institute for Counter-Terrorism (ICT) at the Interdisciplinary Center (IDC), Herzliya. She joined the ICT in November 2018. Ms Beri holds an MSc in Conflict Studies from the London School of Economics and Political Science (LSE), UK and a BA in Political Science & World Islamic and Middle East Studies from McGill University, Montreal, Canada. The topic of her MSc thesis was "The Logic of Political Survival and the Politics of Peace: PKK-Turkey and EZLN-Mexico in Comparative Perspective". Her research areas include Middle East politics and conflict resolution with a focus on Turkey and Israel. She speaks several languages including Turkish, French, Spanish, Hebrew and Arabic.